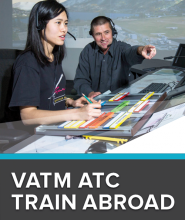 We have been training our own air traffic controllers since inception and have been working with other international Air Navigation Service Providers (ANSPs) for over 30 years, in the delivery of training and in a consultancy capacity. 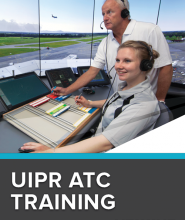 As a world-leading ANSP and Air Traffic Services (ATS) training organisation, we understand the importance of providing quality training that meets the needs of ATS, our customers and partners. Airways Training’s goal is to ensure the safe and efficient delivery of ATS by ensuring the training it delivers is of a high standard and focused on the training needs of both customers and individual students. 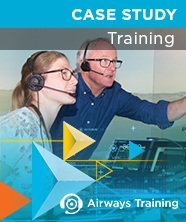 At Airways, we provide best practice training to customers around the world. Our highly skilled and experienced instructors, cutting-edge training and simulation technologies, and internationally recognised programmes will make a real difference to your business. The Airways STAR programme aims to provide an opportunity for talented students/graduates with an interest in aviation, education and/or digital technology to immerse themselves in an unique training environment, which both utilises and develops leading-edge technologies. We also offer a work experience programme for individuals who are looking to join or re-join the work force.